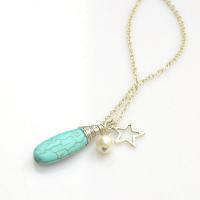 This tutorial is going to display you step by step how to make a dainty charm necklace with drop shaped turquoise bead and ivory glass pearl. By learning this tutorial about how to make a floating bracelet with ribbon and beads can accessorize your wrist and it is really a simple bracelet pattern to make! 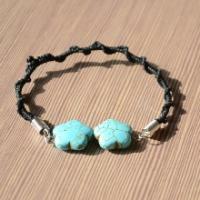 This braided bracelet tutorial is easy to learn and the project uses thread and turquoise to create a cute and elegant diy braided bracelet. A slim change can make the earring into another different style. And this tutorial will tell you create different beaded hoop earrings. 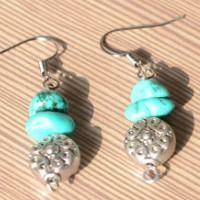 Do you want turquoise skull earrings? 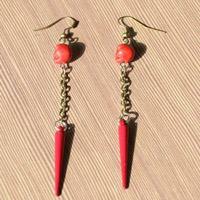 We are going to make red turquoise skull earrings. It is pretty cool. 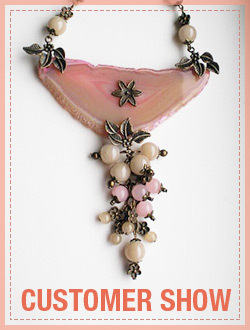 If your jewelry is lack of this kind of jewelry, you should have a try. 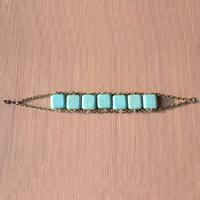 Do you love turquoise bead? 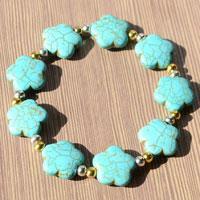 If you love, you can’t miss this tutorial about making a turquoise bead bracelet. It is gorgeous and you’ll like it. DIY earrings with turquoise beads and hooks is easy. 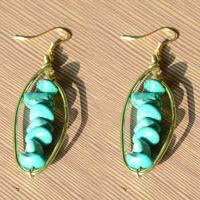 You can make your own Turquoise Hook Earrings by following this easy tutorial. Step by step to learn how to make a tortoise necklace. 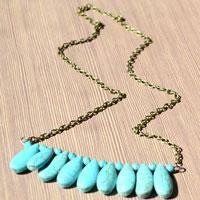 You can master this funny and easy project and create such a fabulous turquoise beaded necklace within 10 minutes.